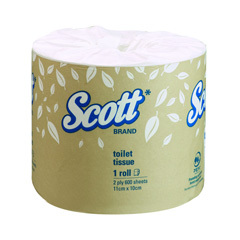 SCOTT® White, 2 ply, 600 sheet, 24 rolls per carton, Individually wrapped. The perfect alternative for quality and value. Ideal for use in workplace toilets, Scott® toilet rolls provide great value without compromising on quality and efficiency. These 2-ply toilet rolls deliver high quality absorbency with each use. 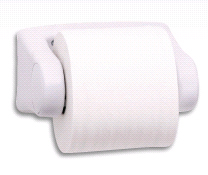 Compatible with most toilet rolls, white enamel metal, lockable, high capacity. Dispenser, 3 roll, clear polycarbonate, lockable.